It’s Valentine’s Day, and despite the fact that Adam and I got engaged on V Day back in 2006, we’re actually not very big Valentine’s Day people. It is my least favorite day of the year to go to a restaurant, so we usually do something cozy at home. Actually, Adam’s proposal came after we’d bailed on plans to go out to dinner in Manhattan and decided to stay home watching CSI in our pajamas instead. And that was way more us, and way more awesome. But, let it never be said that I am not still filled with the joys of love and sugar on this pinkest of all days. So, it seems like a pretty great day to share these whoopie pies I made from a book I bought in Maine last year. Whoopies! 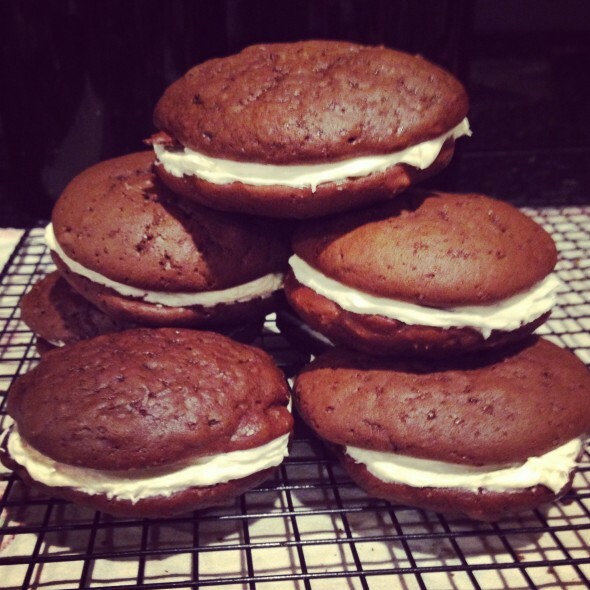 by Susanna Tee is adorable and tons of fun, and the recipe for this classic chocolate and vanilla whoopie was amazing. It was most amazing the day the pies were made; they were still a little crisp around the edges, chewy in the middle. 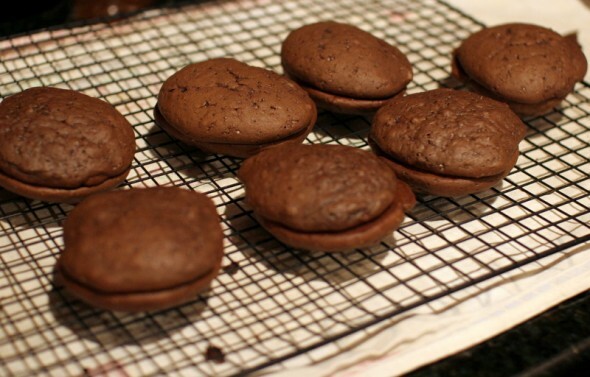 They were still delicious the next day, but by then the cake had softened all over and become more like the store-bought whoopie pies I’ve had. We definitely preferred the slightly crispy day-of magic. I had a momentary existential crisis over the marshmallow filling recipe, which calls for Fluff (which obviously I had). The day I made these pies my Instagram feed was especially full of everyone’s paleo-, no artificial anything-, grown by kosher monks on an organic hillside-meals. To admit that I own and occasionally use Fluff felt like I needed to permanently hand over my reusable Whole Foods bags. But, I got over it. Very quickly, because you really need to use the right ingredients for things. And sometimes only Fluff will do. There is an alternative recipe that uses light corn syrup, but I didn’t see that as being much better. Commit, that’s what I say. Preheat the oven to 375 and line 2 or 3 or 4 (took me 2) large baking sheets with parchment paper (or grease a whoopie pan if you have one). Make the cakes: Put the butter, sugar, and vanilla in an electric mixer bowl (or handheld mixer) and beat together until light and fluffy. Beat in the egg. 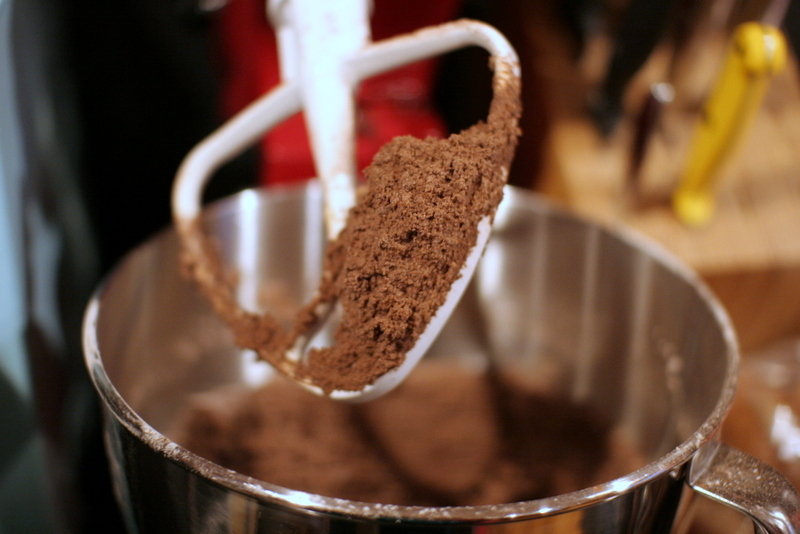 Sift the flour, cocoa, baking soda, and salt into the butter mixture and mix until combined. Add the buttermilk and mix until combined. 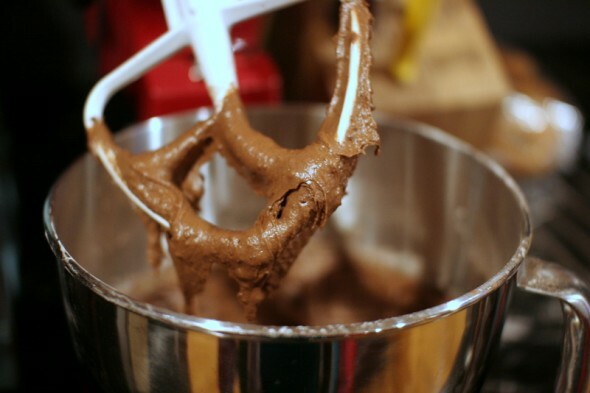 Use a heaping tablespoon or (the book’s recommendation) a 2″ ice cream scoop to make 24 halves. My friend Audrey says an ice cream scoop you can level off is best, finding matching halves is the big challenge with whoopies. I did not have a flat-topped ice cream scoop, so I did my best with a curved one. 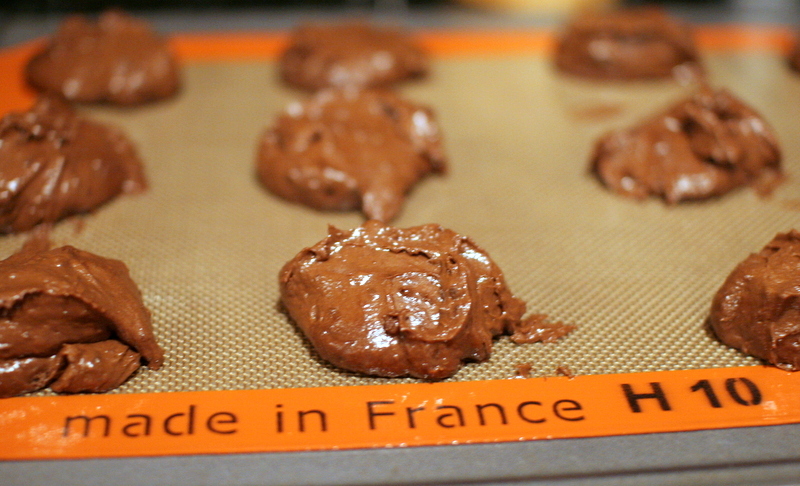 The book says to put the batter onto the baking sheets in 2″ rounds about 1 1/4″ high; that was incredibly specific, I was not that gifted. Leave at least 3″ between rounds. Bake in the oven 10-12 minutes, until firm to the touch. Transfer to a wire rack to cool. 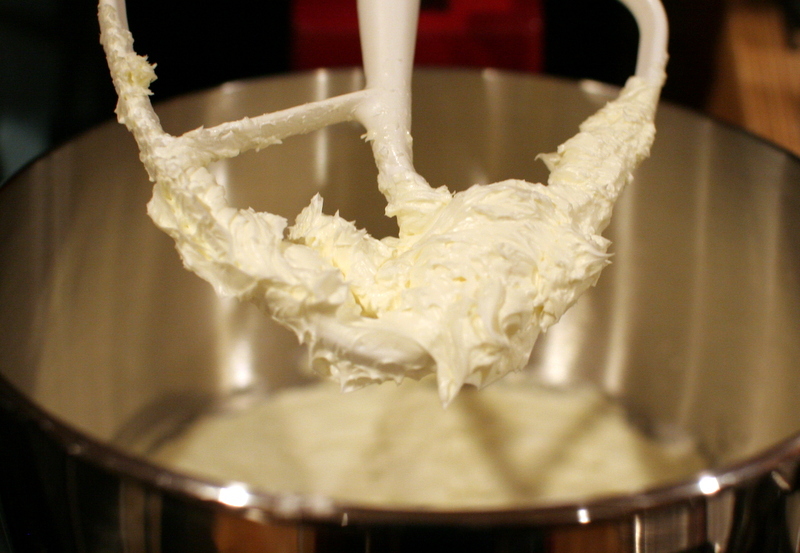 While the cakes bake and cool, make the filling: Clean out your mixer bowl and fill it with the butter and Fluff. Beat together for 3 minutes until light and fluffy. 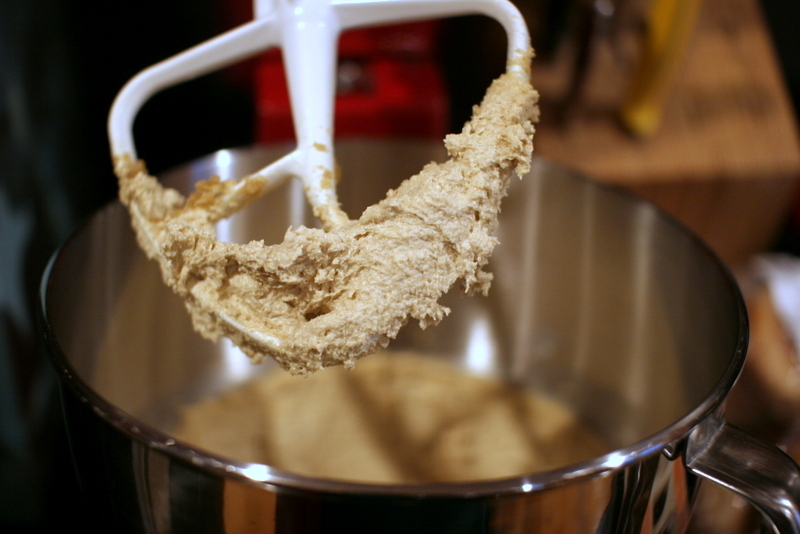 Sift the confectioners’ sugar into a separate bowl. Put your mixer on low speed and gradually add the sugar in spoonfuls. Add the vanilla extract and beat together for 3 more minutes. 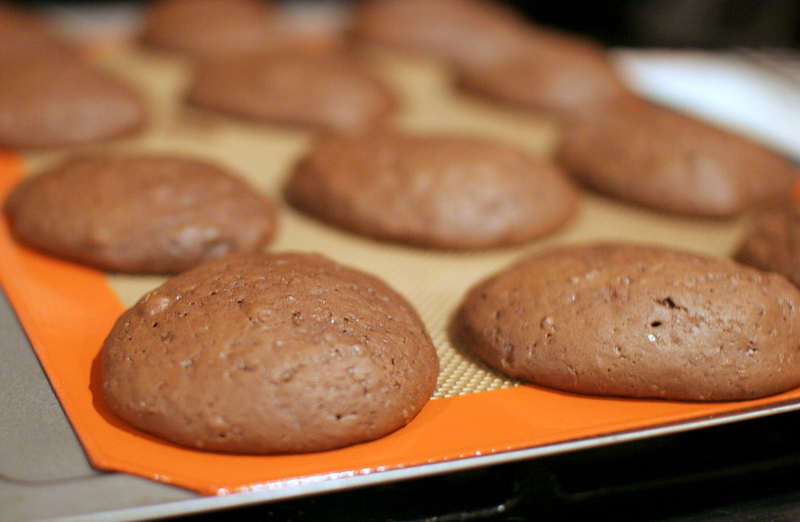 Take your cooled whoopies and match the halves as best you can. 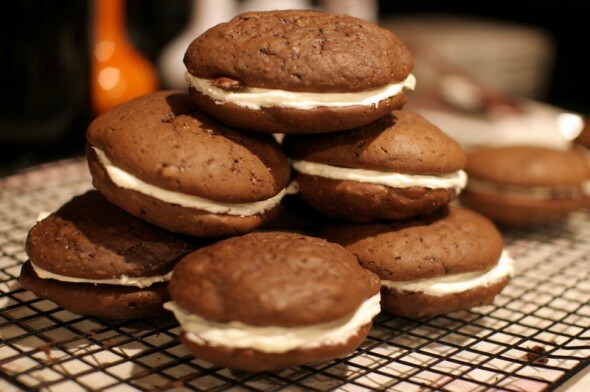 Use a palette knife, pastry bag, or plain old knife to cover the flat side of a whoopie with marshmallow filling. Top with another half, flat side down, and eat them immediately. Valentine’s Day is very important to me. It is a time of year for recognition of the people who have loved you forever, supported your efforts, and kept you safe and secure at some point in your life. It is important to hear from the people closest to your heart even after they have taken wing into their own lives. Hearing from grandchildren is particularly sweet. They learn to express love. Their grandparents’ hearts are warmed by the sharing. I also love Mothers’ Day and Grandparents’ Day. There is a warm spot in my heart for Hallmark. Sounds like you’re fully recovered from your birthday blahs. That’s great news. No one wants to be down in the dumps heading into President’s Day.